It’s happened: I’ve hit the wall. I tried to fight it for a while, but now it’s just impossible. Sure, you hit the wall yourself a long time ago (or were smart enough to not even try to get to it), but I kept up the fight for as long as possible, and I’m fairly happy I did. The “craft” or “local” or “micro” brewery thing in Connecticut has gotten just too big for me to keep up with. I don’t mean to sound like I think that’s a bad thing. Oh sure, I’ll visit all the breweries and write about them, just as I do for museums and wineries and train displays and, well, everything. Oh, I’ll still continue my reviews of the Connecticut beers that I get my hands on – but I certainly need to rethink how that will all work in 2015 and beyond. When I started the beer stuff in 2011, it was easy. There were five breweries in the state. Heading in to 2015, we have 23 open and operating breweries. I know that two more will be coming online in early 2015, so let’s go with 25 as a nice round number. I think it’s probably a safe guess that we’ll have around 28-30 by the end of 2015. I’ve often argued that we were a ways off from the saturation point, for several reasons. However, I’m beginning to change my stance on that as well. I believe that the state can support 30 good breweries… which is different from saying that it can support 30 breweries. CT somehow supports about 32 wineries, all of which have terrible distribution, very limited variety, and let’s be honest, fairly limited quality. 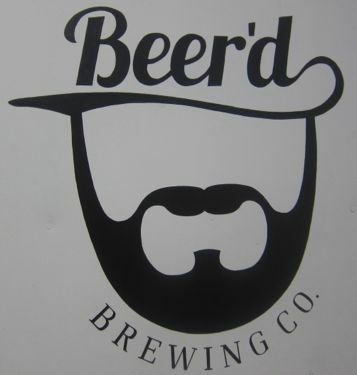 CT breweries can have much, much better and wider distribution, endless variety of styles, and we have some really, really excellent brewers/breweries/beers in our state. 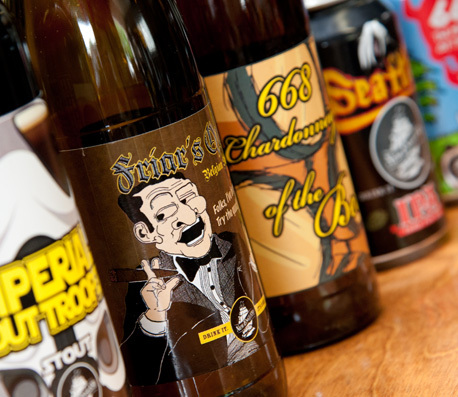 Wineries also don’t have the social network apps and fanboys or various aficionado websites the breweries enjoy. Our breweries have “limited release” events for which people will happily stand in line in the winter for two hours for an overpriced bottle of beer they’ve never had. I’m not sure there’s any other industry in the state that can do that. But – wineries are almost universally owned by rich people. Rich people can absorb losses for a while longer than non-rich people. Breweries are, for the most part, not owned by rich people. This matters. Shelf space & Tap lines – This is what it’s all about in the stores and bars. And the competition is nuts. For our breweries that do distribute to stores, good luck competing with the national brands and the ever-increasing list of higher quality beers coming to Connecticut. (For example, just this week it was announced that Troegs and Lawson’s Finest will be coming soon.) This matters a lot. As for gaining tap lines, every place wants two particular lines from Connecticut – NEBCO and Beer’d. The other 20 breweries want to be on next to them and are getting pushy about it. It’s a mess and only getting messier. Quality – All the wine you can buy at Connecticut wineries is generally the same. You go to wineries to relax by the fire or watch a sunset and have a picnic. The mediocre wine is almost secondary to the “experience.” Until recently, the notion of doing this at a brewery in the state was insane. With the new breed of “neighborhood breweries” (See: Broad Brook, Firefly, Powder Hollow, Overshores, and even Two Roads to a degree), this is changing a bit – and it’s fairly brilliant on the part of the brewery owners. Regardless, there is a very clear, very wide gap among our breweries when it comes to the quality of the beer. For about 2 years now, there have been two breweries that are so far and away producing higher quality beer than everybody else that it’s just not even fair. I’d put OEC up with NEBCO and Beer’d now, but they are more niche. Sure, some other breweries show promise, and some of the venerable ones deserve as much love as anyone, but my point is that those other 10-15 lower quality breweries? How long can they sustain what they’re doing? With other local breweries producing superior beer, what’s the incentive for folks to continue to patronize a lower quality brewery? 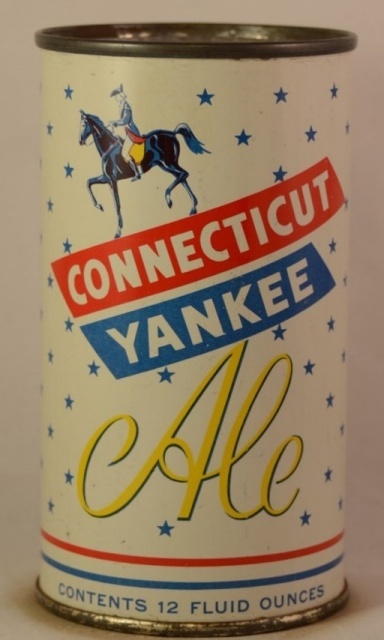 For me, it was simply to get my hands on Connecticut beers to review for this website. It was a fun pursuit. For you? That drive is probably nonexistent. So you may be wondering what brought me to this point. It was a combination of things, but it really clunked me on my head this weekend when a new Connecticut brewery opened and I just… I just didn’t care. At the same time, OEC Brewing had a special bottle release… and I just didn’t care. Relic and Black Hog have special limited bottle releases in the next few days… and I just don’t care. I simply can’t care about this stuff anymore, y’know? Because it’s insane to do so. Through these few years of keeping up with “the scene,” I’ve met some great people. People with passion and intelligence and humor. People with interesting lives outside of the whole “Connecticut craft beer revolution.” I like these people and I tell myself they appreciate what I’ve been doing and respect the way I’ve done it. I’ve made friends with several brewers and brewery owners, but I’ve always been honest about their beer. That resonates with people and it’s something I’m (very) quietly proud of. And so, dear friends, I will continue to promote our breweries and buy the local beer and probably continue reviewing them in my own special way. I will buy stuff I see in a store that I haven’t had. I will continue to try to stay on top of everything New England and Beer’d are doing. But other than that, I’m sort of just going to chill. Oh, and I’m not going to “hate-buy” beer anymore, for the sole purpose of being able to write a negative review. Because that is insane. Those breweries that don’t excite me will get a visit and that’s it. I just don’t have the time or desire to continue patronizing mediocre or crappy breweries. And my son is sick of the pictures for the reviews anyway. I have no idea, but I don’t foresee a sea change in 2015. We may lose one or two breweries, but the gain will outpace any losses. Every brewery’s situation is different. I don’t want to sound like a naysayer, as I want every one of these guys and gals to succeed. But in order to do that, many of them have to step it up. And some should probably just shut down and revamp everything; stop listening to your cousin and your neighbors. Get some serious people in your brewery and listen to them when they say your beer is not that good. Because, I’m fairly confident, that will matter too at some point. Right?